This medication may cause a low number of white blood cells and platelets. Your doctor will monitor you closely while you take this medication and may adjust the dose of the medication or stop the medication based on your lab test results. Tell your doctor right away if you develop any of the following symptoms: signs of infection (such as sore throat that doesn't go away, fever, chills), easy bleeding/bruising. What conditions does Revlimid treat? Tell your doctor right away if you have any serious side effects, including: mental/mood changes (such as depression), increased thirst/urination, shaking (tremor), numbness/tingling of arms/legs, fast/slow/irregular heartbeat, unusual tiredness, swelling ankles/feet. Lenalidomide sometimes causes side effects due to the rapid destruction of cancer cells (tumor lysis syndrome). To lower your risk, your doctor may add a medication and tell you to drink plenty of fluids. Tell your doctor right away if you have symptoms such as: low back/side pain (flank pain), signs of kidney problems (such as painful urination, pink/bloody urine, change in the amount of urine), muscle spasms/weakness. Lenalidomide may rarely cause serious (possibly fatal) liver disease. Get medical help right away if you have any symptoms of liver damage, such as: nausea/vomiting that doesn't stop, loss of appetite, severe stomach/abdominal pain, yellowing eyes/skin, dark urine. List Revlimid side effects by likelihood and severity. Before using this medication, tell your doctor or pharmacist your medical history, especially of: kidney disease, liver disease (such as hepatitis B), thyroid disease, chicken pox and shingles (herpes zoster infection). What should I know regarding pregnancy, nursing and administering Revlimid to children or the elderly? Does Revlimid interact with other medications? 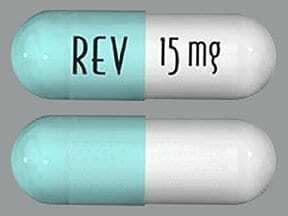 This medicine is a powder blue blue-green, oblong, capsule imprinted with "REV" and "20 mg". 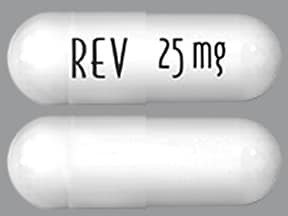 This medicine is a white, oblong, capsule imprinted with "REV" and "25 mg". 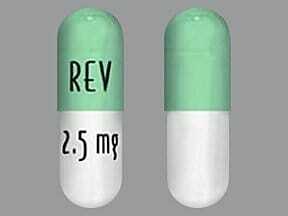 This medicine is a white blue-green, oblong, capsule imprinted with "REV" and "2.5 mg". 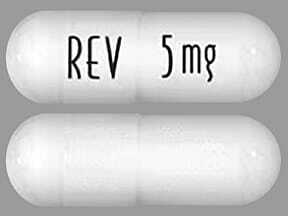 This medicine is a white, oblong, capsule imprinted with "REV" and "5 mg". 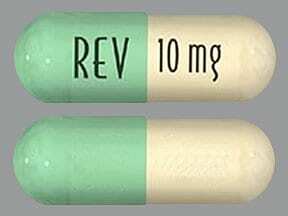 This medicine is a bluish-green pale yellow, oblong, capsule imprinted with "REV" and "10 mg". This medicine is a white powder blue, oblong, capsule imprinted with "REV" and "15 mg". Are you considering switching to Revlimid? 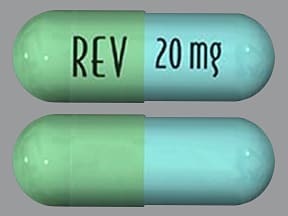 How long have you been taking Revlimid?